Anticipated financial inflows from industrialised to developing countries for the REDD+ scheme, when fully operational have been estimated at up to US$30 billion a year. Out of the figure, about $ 10 billion was earmarked for developing countries, with $4 million allocated for Nigeria’s National Programme, and Cross River State pilot scheme. The next phase will gulp $12 million. Cross River State, with more than 50 per cent of Nigeria’s remaining tropical high forests, has been the focus of REDD+ activity in the country. The state recently took steps to develop safeguards principles and criteria, at the state level, which will help to mainstream environmental and social concerns into the refinement of REDD+ policies and measures that will go into the Nigerian and Cross River State REDD+ strategies. Despite its laudable initiatives, the proposed plan to build Super Highway connecting Calabar and Obudu traversing the Cross River National Park (CRNP) has been dogged by controversy. 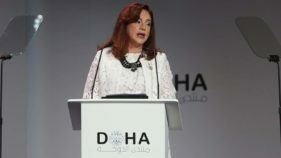 Non-Governmental Organizations (NGOs) within and outside the country rejected an EIA for the project through petitions to the Minister of Environment. The groups, NGO Coalition for Environment (NGOSE), led by Dr Odigha Odigha; Health of Mother Earth Foundation (HOMEF), chaired by Nnimmo Bassey; Chairman, Board of Trustees of Ekuri Initiatives, and Secretary of NGO Coalition for environment in Cross River State, Mr. Martins Egot; WCS Nigeria Country Director Andrew Dunn; and Tunde Morakinyo, Partner, Environmental Resources Management (ERM) have written to the Minister of Environment. 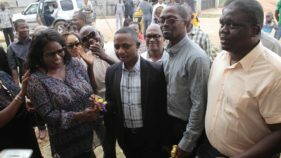 The groups urged the Minister to, “direct Cross River State Government to reverse the revocation of the traditional land rights of communities within 20.4 kilometres width along the 267 kilometres of the super highway, pay compensation to those whose land have been cleared for the project and the State Government to carry out a restoration programme in areas where clearing had been done”. A state official said the governor who is passionate about the preservation of the state’s biodiversity with his establishment of the Green Police, would not embark on a project that would undermine the environment . The Senior Technical Adviser to the Governor, Mr. Eric Williams said, all the issues raised by the Federal Ministry of Environment on the proposed Superhighway road have been resolved and the final submission of the EIA report was awaiting approval by the Federal Ministry of Environment. For instance, Williams noted that, “the host communities have been taken care of. They have been enumerated for compensation. 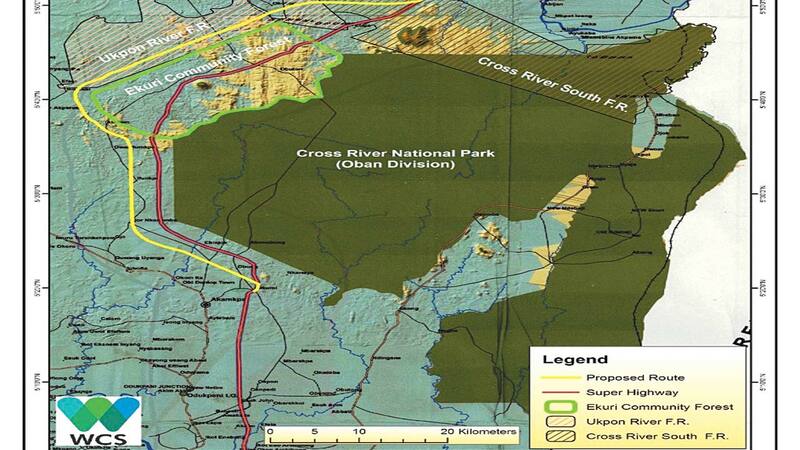 First the NGOs raised the issue that the Super highway will pass through the Cross River National Park. Before the alignment of the road was made on the top map of Cross River State, the governor gave specific directives in writing that the superhighway central line alignment should not transverse or go through the Cross River National Park. “In so doing he even added extra 60 km to the length of the road. If the road should have come through the National Park from Calabar-Oban in Akamkpa, Okoroba in Ajaso in Etung to Ikom, the length of the road would have been a mere 100 km which is just slightly above an hour journey if you were traveling at 120km per hour”. Facts are emerging that the amended EIA recently submitted to the federal government, through the Federal Minister of Environment (FME) may take long to be approved, as CRNP is one of the most Key Biodiversity Area (KBA) in the whole of Africa and proposed for UNESCO World Heritage Status. Equally, the park is amongst the last vestiges of Nigeria’s rainforest, a vital part of our country’s national heritage, plays a key role in delivering a carbon sequestration and climate change mitigation”. The ministry further drew the attention of the state government to the fact that “Nigeria is a party to some international convention’s agreement such as Convention on Biological Diversity (CBD), UN Framework Convention on Climate Change (UNFCCC) and Convention on Migratory Species (CMS) whose values and principles support protection of wildlife, mitigation and adaptation to climate change. “CRNP having been designated as KBAs has 18 species of primates, the highest diversity recorded at a single site in Africa; two species of butterflies new to science have been described from the area and plant diversity is high. “ In view of this, fears are rife that the internal bodies like the UNESCO, UNFCCC, CBD, CMS which Nigeria is a signatory to may sanction Nigeria if the state goes ahead with the project without satisfying all issues covered by the convention as according to the ministry, “the proposed highway would open up the park to poachers and jeopardize globally threatened species”. Currently, another battle between civil society groups and Cross River State over the threat issued by the government to move ahead with the project without an approved EIA is raging. Cross River Commissioner for Information, Mrs. Rosemary Archibong, reportedly said the federal agencies responsible for issuing the approvals were frustrating the state’s development programmes, threatening that if EIA approvals were not given by the end of March 2017, the state government might be forced to go on with construction works on its project. Nigeria’s leading conservation group, Nigerian Conservation Foundation (NCF) stated that the claim by the state to have met ‘all guidelines’ is incorrect as work was already being carried out at the site before any Environmental Impact Assessment (EIA) report was submitted, which is a gross violation of the EIA Act No. 86 of 1992. “Contrary to the claim that the CRSG has met all guidelines, the belated EIA report was full of errors and inconsistencies, which the EIA Review Panel constituted by the Federal Ministry of Environment (FME) observed. It was then sent back to the CRSG to effect the observations and concerns raised. “A revised EIA and a Biodiversity Action Plan (BAP) from the CRSG was submitted last January to the FME, which was passed to relevant stakeholders, including NCF, for further review. It was observed that the revised EIA and BAP were fraught with a lot of inconsistencies, misrepresentations, falsification and errors. The stakeholders’ observations were recently conveyed to the FME. NCF is collaborating with the Cross River State Forestry Commission (CRSFC) and secured $65,000 from the Governors’ Climate and Forests Task Force’s Funds for the “Strengthening of Forest Carbon Assessment and Monitoring System ”. Other groups such as Environmental Rights Action/Friends of the Earth Nigeria (ERA/FoEN) urged the Federal Ministry of Environment to remain resolute in demanding that the Cross River State government comply with environmental standards in the proposed Calabar Super Highway project. ERA/FoEN Executive Director, Godwin Uyi Ojo said: “It will be a breach on our laws and a bad precedent for the Cross River government to attempt going ahead with the Super Highway project without a proper EIA. The mere submission of an EIA does not amount to approval or claims to have satisfied all requirements. 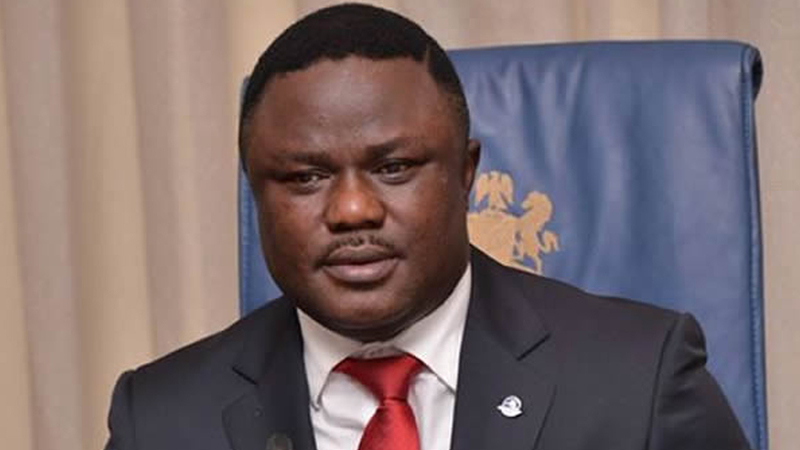 While praising the Federal Ministry of Environment for carrying out due diligence on the project, Ojo noted that the speed with which the Cross River government intends to carry out the project raises some suspicion. “We have long called for the revocation or at least revision of the Land Use Act of 1978 which allows the claims of overriding state interest to cede community lands to other interests“. Green Concern for Development (GREENCODE) and Peace Point Actions (PPA) – an environmental NGOs based in Calabar – have called on the Federal Government of Nigeria to ignore the empty threat by a group of political sycophants, who are looking for ways of winning Governor Ben Ayade’s heart for their personal and political reasons. The groups commended the bold steps and the effort of the Federal Government so far in listening to the plight of the citizens, by ordering stop work on the Superhighway project on which work had commenced without an approved EIA. revocation of 10km span of either side of the centre line of the proposed 260km Superhighway road project.